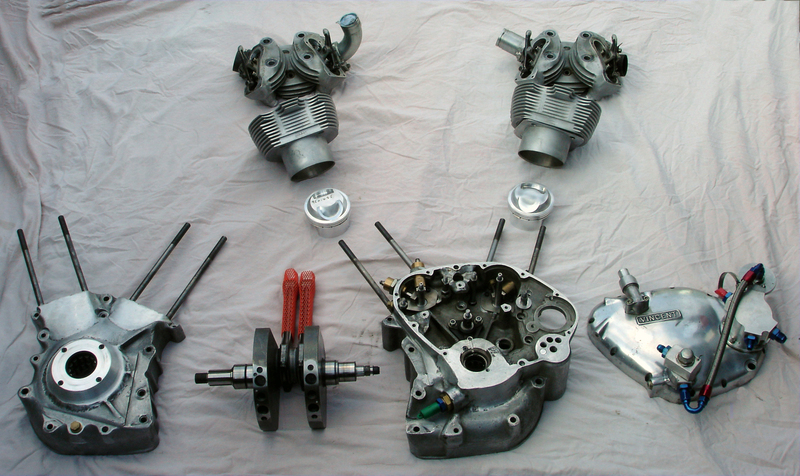 If you follow this blog regularly, you know that many Vincent engines have been modified for racing use since 1946: the addition of supercharger and injection was the ultimate recipe, chopped engines mated to a Manx close-ratio gearbox happened quite often, bored and stroked up to 1600cc was quite an efficient route, and modified cylinder heads to improve the air flow was the basic rule to gain power. 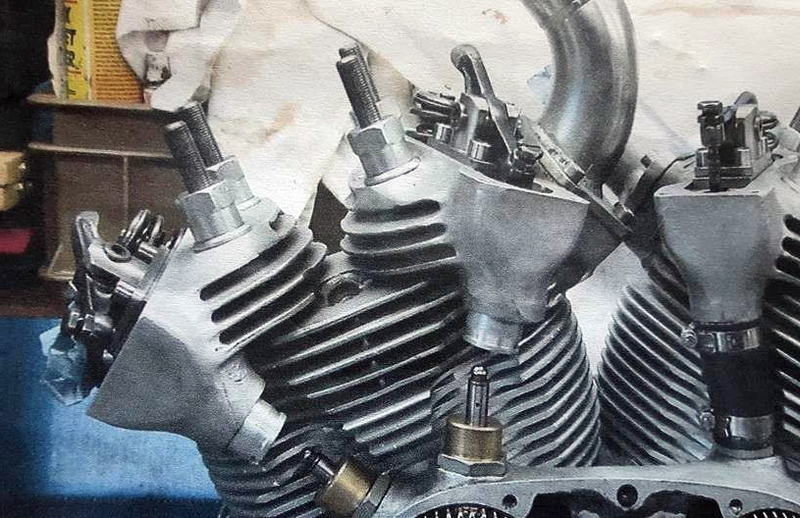 Beyond, only three engineers made a 4-valve head: Cyril Malem from the UK in the 1980s while Andrew (Tommo) Thompson in the UK and Ken Horner of Irving-Vincent in Australia materialized later the 4V concept design by Phil Irving in 1949. So a deeply modified Vincent engine is rather rare and this one is just unique in many ways. “It is a fascinating build” said Vincent enthusiast and friend David Dunfey who passed me the information. This sidecar used to be raced in the UK by Dave Mallows and his passenger Nick Archer who won almost every Vintage race they entered from the late 90’s to 2006, beating the likes of Bill and Maggie Tuer in their Morgan (see impressive video below), not to mention numerous wins in the CRMC. 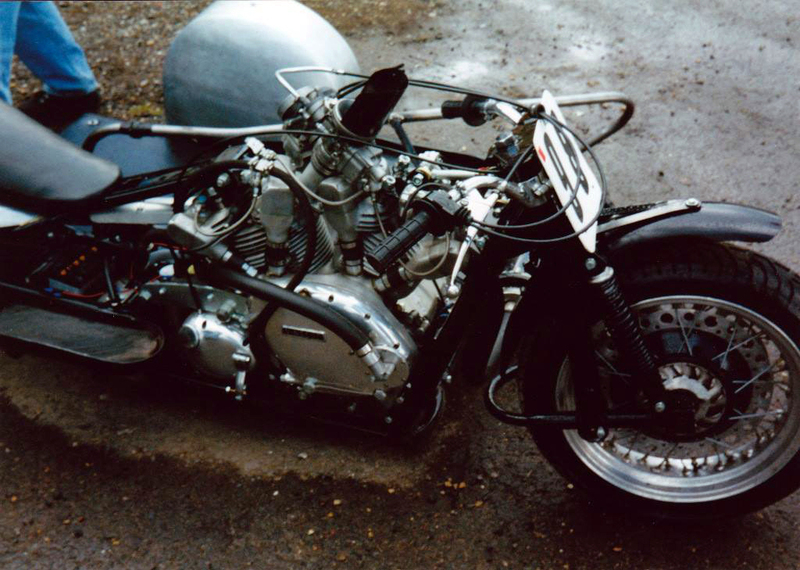 The engine is originally a Vincent that was chopped and mated to a Quaife Motocross gearbox with a displacement increased to 1276cc, revving up to 7500rpm and producing 99.2hp and 84ft/lbs of torque on the dyno. 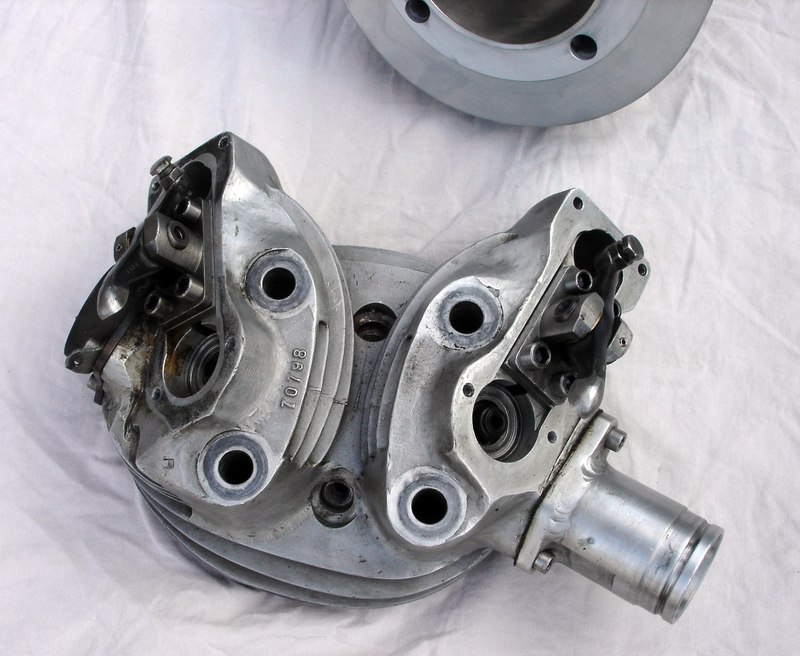 But the most interesting are the modified heads that have rockers over the valves. A solution made possible because in a sidecar configuration room constraints are lesser than in a motorcycle frame. This provides more lift than the stock Vincent. The pushrods are now activated by solid lifters, which means they can use standard hot rod cams. If you are interested to bid, here is the link eBay or you can contact directly the owner Merv Hackett at +44 (0) 1787 379721. 15min clip on board of Bill and Maggie Archer’s 1932 Morgan 8/80 JAP mentioned earlier – it worth every second! One-piece crank with Arrow con-rods. Special cams by Phil Joy. BSA cam followers running directly on the cams. 95mm and 12:1 compression G50 pistons running in Nikasil bores. G50 valves and springs with the rockers over the top of the valves. 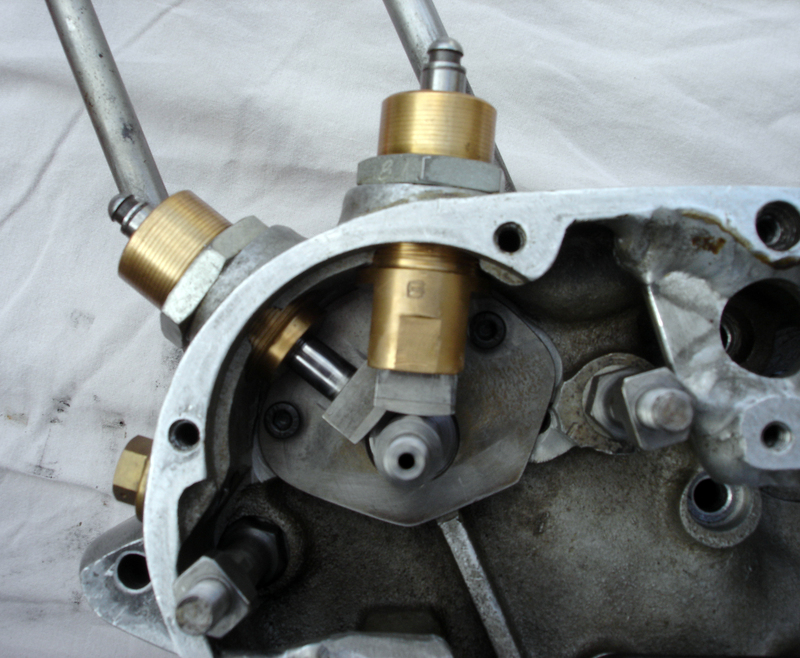 The crank is fed by a Trident oil pump through a cartridge type filter. The primary drive is through a 48mm belt onto a modified Commando style clutch. Have you forgotten my 4v head that appears in your book ?